No matter how much we want our teeth to stay strong and healthy forever, it’s just not possible. Certain factors affect their durability and even damage them, leaving us in discomfort and sometimes, pain. But with the help of modern dentistry, this isn’t a major issue anymore. At Bondi Dental your damaged teeth can be restored to their former glory. Take advantage of tooth fillings at Bondi Dental, and say hello to a healthier mouth. 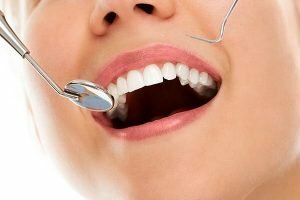 What Are The Reasons For Getting Tooth Fillings? Fillings for the front teeth – If the decay or damage is in the front teeth, your dentist will recommend composite and glass ionomer fillings. These fillings are made of materials that resemble the look and shade of your natural teeth making them aesthetically pleasing for your smile as well. Fillings on the back teeth – The back teeth are responsible for chewing. For fillings on this part of your mouth your dentist will recommend silver or composite fillings. These fillings are made of strong and durable materials made to withstand the heavy duty grinding and chewing functions of your teeth. Protecting teeth from further decay. Helping bring back the strength to your weakened teeth. Removing as little natural tooth enamel as possible. Evening the pressure on your teeth during eating. Evaluate your teeth, mouth, and jawbone’s status. Your dentist may use local anaesthesia to numb the area. Your dentist will thoroughly discuss this with you. Remove all the decayed tooth enamel and clean your mouth in preparation. Your dentist will use a dental dam to keep the affected tooth dry from saliva during the process. The tooth filling is applied and shaped into the desired appearance. To harden the fillings, a curing light will be used by your dentist. The durability of your teeth is very important to your overall wellbeing. However, despite how much we want them to remain strong forever, many factors can contribute to their damage. At Bondi Dental, restoring your teeth to their former glory is possible. Your trusted local dentist at Bondi beach provides durable tooth fillings and with proper dental care, can last a long time. Say goodbye to damaged teeth today. Start your journey to a healthier mouth at Bondi Dental today!